Grow your professional network both online and offline. During the summer months it seems that there is always so much to do. By the time the work day is done, meeting strangers and discussing what you do may be the farthest thing from your mind. However, local networking events present a plethora of opportunities for individuals and organizations as a whole. As of May 2012 Facebook had approximately 901 million active users on a monthly basis. Think of your own Facebook, Twitter, and LinkedIn connections. Of those connections how many of them are local? On my own personal LinkedIn network for example roughly 65% of my contacts are local connections. Many of which I hadn’t met in person until I started attending more local marketing events. My hope is that this post will provide you the framework you need to get the most out of networking events as an individual and as a team. Event hashtags on Twitter have become standard. While at the event the hashtag provides a great way for organizers to monitor buzz, answer questions, and interact with the audience online. Prior to an event many of the people who plan on attending will use the event hashtag in their tweets to let others know that they will be there. I recommend monitoring this buzz in the days leading up to the event and connecting with those audience members prior to the event. When you’ve already had an online interaction with someone who is attending the same event as you, it can often be easier to walk up and introduce yourself because you will already have some level of rapport. I like to get to any networking event as early as possible. The earlier you are the more people you will typically meet, including those organizing the event. As a live blogger I also like to find a seat front and center so that I can pay attention, get some great Instagram photos, and participate as much as possible. Marketing events will usually have some time for networking both before and after the scheduled presentation or activity. Some attendees may wander in after the presentation starts so stick around if you are can for awhile afterwards in case there is anyone else you would like to talk to. Work to find that balance between jetting out the door and staying so late that you have trouble focusing at work the next day. Many marketing events will provide cocktails for attendees or have a bar available. There is nothing wrong with having a good time with your fellow marketers, but don’t forget why you are there. You must remember that you are representing your company and that how you act is a reflection on your organization as a whole. Good rule of thumb: keep it professional and know your limits! #5 – If There is An Opportunity to Participate: Take It! Audience participation can take on a variety of forms. Sometimes there will be a Q&A opportunity after a presentation, and other times your participation may include live Tweeting your heart out. Whatever the participation opportunity may be, try if you can to get on board. This presents a chance to mention what brand or company you are representing, as well as get your questions answered by an expert. On July 25 in Minneapolis, we will be celebrating the official launch party for TopRank Online Marketing CEO Lee Odden’s new book Optimize: How to Attract and Engage More Customers by Integrating SEO, Social Media, and Content Marketing. 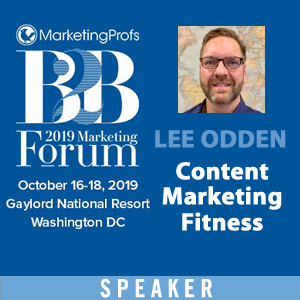 This event presents the perfect opportunity for the top Marketing and PR Professionals in the Twin Cities to connect, nosh on appetizers, and gain insight from our very own Lee Odden. If you would like to Sponsor Optimize Minneapolis let us know (1-877-872-6628). We are opening up some advertorial opportunities here at Online Marketing Blog in combination with the event. #2 & #3 are huge! It can be easy to go and assume that your goal is to make conntacts, but getting very clear on the number of contacts you want to talk to can take your experience and business to a whole new level. Also, #3 – often it is the time before an event where you can meet the most people and energy is high. I’m not always great about this one, but it is something I continually strive for! Ashley, this is a fantastic post. I have an additional tip related to #1. How do you measure the results from your networking? Do you set goals ahead of time? Very informative tips in this like If you find yourself working hard on your marketing and NOT getting the sales results you want, STOP! Make sure you are doing the right things, then ensure you are doing them correctly. If you are not already doing any of the above marketing activities – give them a go because we already know they work extremely well. That’s a great place to start. Excellent post Ashley.I never seen these type of information for marketing purpose. You simply defined how you are doing well marketing yourself or your team. But first of all you target for event. If you have decided what your goal for the event is, then you can easily achieve your target. Precisely, by attending at the conference location or networking event that you are ready to accept networking, your are more inclined to attract businesses who will be also thinking about networking.